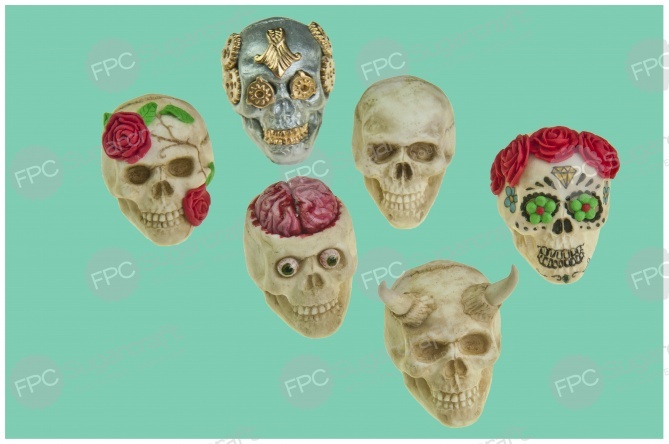 A hand sculpted 3D skull, ideal for Halloween and Day of the Dead themed cake toppers. The mould produces a plain skull which can then be embellished as you wish. 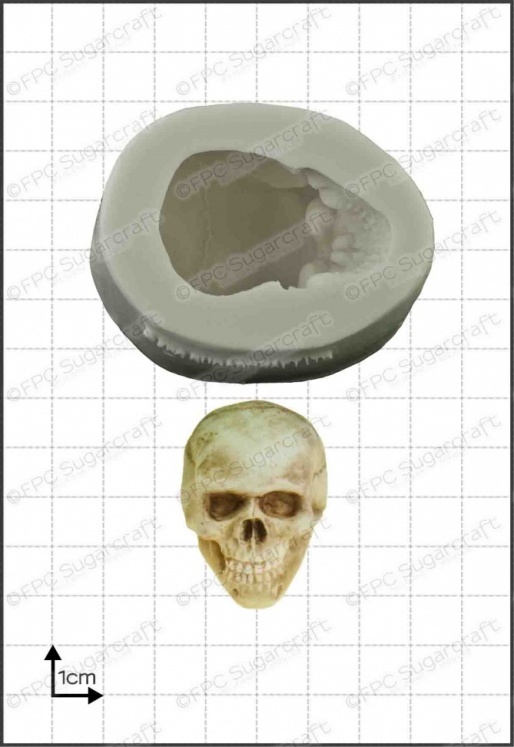 This mould is also great for use with Isomalt, chocolate, resin, and polymer clay.